Liverpool’s bus operators Merseytravel and Stagecoach Merseyside are launching a new green initiative which will see buses run on recycled vegetable oil. The initiative forms part of a commitment to the European BIONIC project which is funded by the European Commission and Intelligent Energy Europe programme and coordinated in Europe by Merseytravel. Its aim is to promote the production and use of sustainably produced biofuels in transport. Merseytravel is supporting the two year trial through the provision of refuelling infrastructure to allow six Stagecoach vehicles to run on a greener blend of fuel – a B30 biodiesel mix supplied by NW producer Convert2Green. All three partners in the project are members of the Merseytravel run North West Biofuels Network. The B30 biodiesel mix includes 30% biodiesel from waste vegetable oil which reduces the overall CO2 emissions from the buses by up to 25% compared to standard diesel. 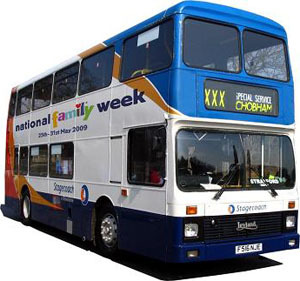 Stagecoach launched the UK’s first Bio-buses in Kilmarnock in 2007. The services have been used by more than two million passengers and the project has saved 2450 tonnes of carbon, with more than 70 tonnes of cooking oil being recycled. The trial in Liverpool, which is now underway, is crucial to providing confidence in biofuels by UK bus operators, promoting a wider uptake of sustainably produced biofuels in the public transport network, and continuing progress as a low carbon and sustainable fuel source. The trial results, which will be made available by Merseytravel, will monitor vehicle reliability and fuel consumption, with the lessons learnt being used to support other bus operators who want to use sustainable biofuels. Councillor Mark Dowd, chair of Merseytravel added, “Not only will the trial help us to address carbon reduction, it will also help us develop a greater understanding of the benefits of new biofuel technology, which we will be able to share with Partners throughout the region. Andy Webb, director, Convert2Green said, “More transport companies are working towards reducing emissions and converting to fully sustainable and renewable fuel sources – we’re delighted that Merseytravel is trialling the bio-diesel in the Stagecoach vehicles.